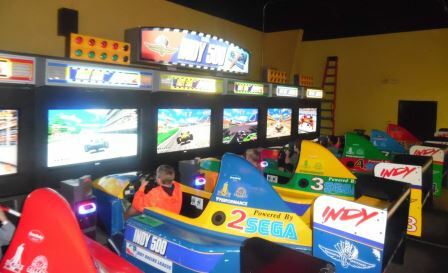 Fun for the whole family in this state of the art entertainment center featuring 180 video and interactive games, virtual reality laser tag arena, 18 holes of glow in the dark miniature golf, and snack bar featuring awesome home made pizza. Group events and birthday party packages with several packages to choose from with many different activities, or we can cater to fit your needs. Visit the website for special events and hours as they can vary during the season.